The Wizards Cabal is somewhat problematic in Blackmoor canon, because it appeared in one form in the DA modules and was completely rewamped in the D20 line. The question then becomes, which version should I use for my campaign? The first appearance of the Wizards Cabal is in the module DA1 Adventures in Blackmoor. In this version, the Wizards Cabal is a secret society for Magic Users, lead by Tamis Azkanikin. They have set in motion a plot to kidnap King Uther, which is the main plot of the module. In the D20 line, the Wizards Cabal is not a secret society. Rather, they are an official organization of Wizards founded by Skelfer Ard. It is responsible of administering and training arcane spellcasters in Blackmoor and also in charge of persecuting Sorcerers and other unauthorized spellcasters. One the one hand, it is not unlikely that the Wizards Cabal was changed with the new edition to better integrate the concept of Wizards and Sorcerers being two different types of arcane spellcasters. On the other hand it is worth examining the adventure potential this concept has. Sorcerers are a 3E concept, but earlier editons also had the concept of Wild Magic, which is pretty much how 3E Sorcerers are presented in Blackmoor. 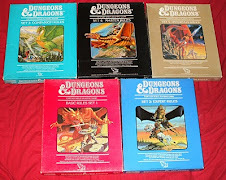 Arneson Purists will scoff at this and say that one should ignore the D20 products, but I have never been one to reject ideas because of where they came from. To be honest I rather like the idea of an official organization for mages in Blackmoor. Although I no longer play 3E, I think viewing what those books refer to as Sorcerers, as Practitioners of Wild Magic, works for any edition. Interestingly, the D20 Blackmoor books also have a secret underground organization for such mages, called the Eldrich Underground. It seems to me, that the Eldritch Underground can easily fill the function that the original Wizards Cabal. This has already for the most part been done with the Underground being responsible for the Vestfold Revolt. This way we can still have the old Wizards Cabal, and have an official club for Magic Users as well? What is the Wizards Cabal like in your Blackmoor? There should be no reason why the two aren't, in fact, one in the same. A sect within the official school that intends to kidnap Uther. ;) Actually, I'm inclined to believe Arneson had an order of magnitude more influence over the d20 stuff than the TSR material. I'm quite convinced Ritchie et al. could and did do anything they liked with whatever notes and info Arneson gave them, and created a good deal of that material on thier own. The TSR line is a fair source for character info but is highly suspect in my eyes for almost anything else. 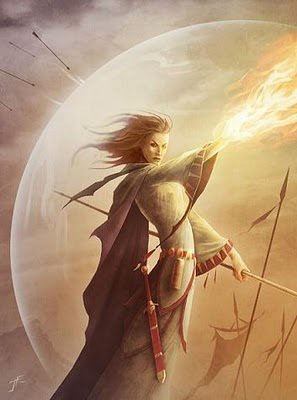 But not to digress too far off topic, I see the cabal in my Age of Id SWA campaign as being smaller, less powerful, and with a less colorful history, but otherwise mostly as presented in the Wizards Cabal book. They don't hunt down "sorcerors" (that strangely schizophrenic 3e concept makes no sense in Dragons at Dawn), but they are very actively interested in understanding and guarding the unusually strong magics associated with Blackmoor, and are thus closely allied with the elves. That they might have detractors and defectors - the Eldritch Underground (led by Pissaic perhaps? )- makes perfect sense. @Timeshadows: That is an interesting idea! I do like the idea of there being a connection between the two. There are definately some unsavory elements within the Cabal. @Aldarron: Thanks for the comment! I have responded in detail to this over here.